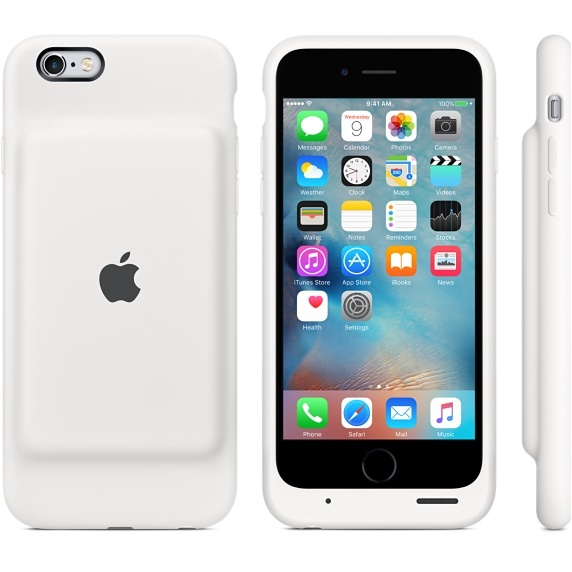 In a rather surprising move, Apple has just released an all-new battery case for the iPhone 6 and the iPhone 6s. Third-party manufacturers like Mophie and Belkin have long been offering battery cases with which to keep iPhones charged on the go. But this is the first time in the eight-year history of the iPhone that Apple has come out with an iPhone battery case that the company itself designed. The Smart Battery Case, as the new accessory is marketed by Apple, is designed to provide extra battery life as well as extra protection to an iPhone 6 or an iPhone 6s. Notably, the profile of the battery pack is visible at the back of the case, where other battery cases are usually flush. The Smart Battery Case is available now for delivery or personal pickup through Apple’s online store or the official Apple Store app. It costs $99 and comes in white or charcoal gray. 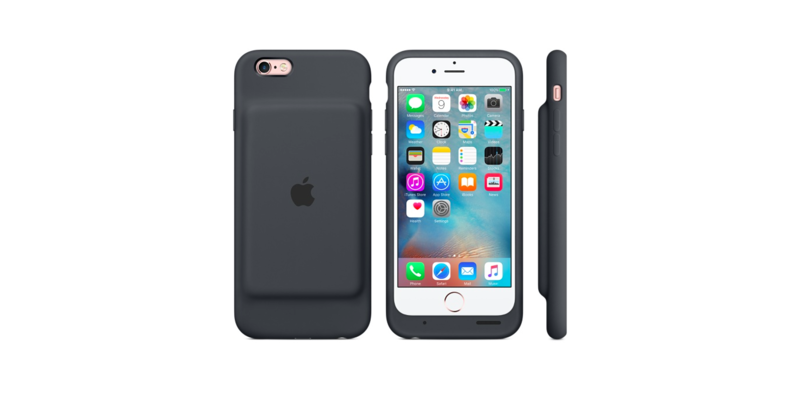 Note that the Smart Battery Case is compatible with iPhone 6 and iPhone 6s only. Apparently, Apple doesn’t see the need for a battery case for iPhone 6 Plus and iPhone 6s Plus on account of their having longer battery life thanks to their larger batteries. 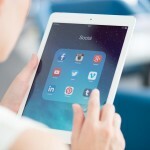 But you never know: Perhaps a Smart Battery Case for the Plus models will soon be released by Apple as well. For now, are you getting a new Apple-designed battery case for your iPhone 6 or iPhone 6s?